My paternal grandfather was from Warsaw and came to the US in 1952 with my grandmother and uncle. I remember that he always had a framed icon of the Black Madonna of Częstochowa on the wall above his desk. He has since passed away and I now have his icon. Notice the two slash marks on her cheek. According to legend, those are the result of an attempt to destroy the original icon back in the 15th century. There is also a scar on her neck; the monastery housing the icon was under siege by Tatars in the 11th century and the scar is supposedly from an arrow. I saw it as analogous to myself: my inner self is still beautiful, I still have innate goodness and dignity, I am still beautiful and lovable despite the abuse. Sexual assault damaged me, but it did not destroy me. One day last spring, when doctoral comprehensive exams and the stress of life were getting to me, I was sitting at my desk mindlessly looking at this icon. It struck me that Mary is still beautiful even with the slash marks. The image is still holy, and the damage done to the icon does not detract from that, because reproductions include the slash marks. I saw it as analogous to myself: my inner self is still beautiful, I still have innate goodness and dignity, I am still beautiful and lovable despite the abuse. Sexual assault damaged me, but it did not destroy me. I am beautiful even with scars; they show what I have overcome and what God is healing me from. 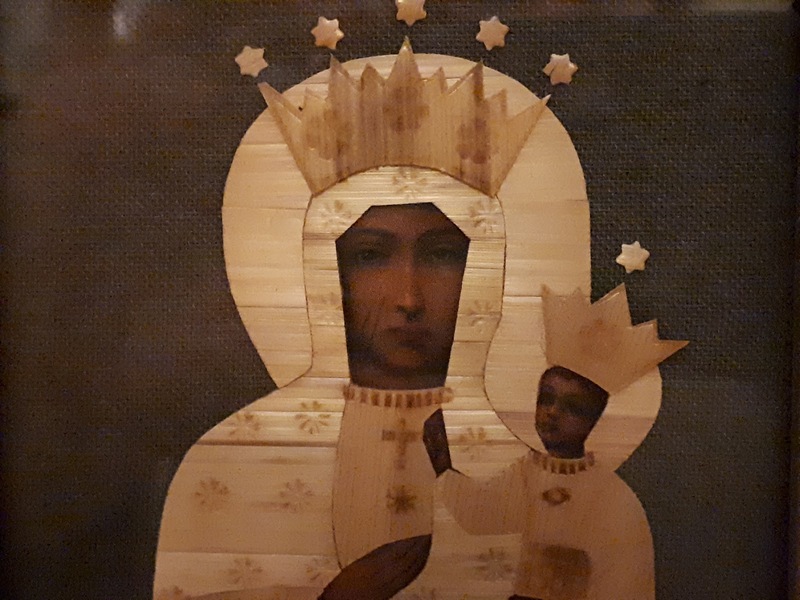 And so I wonder: is Our Lady of Czestochowa a beautiful and holy icon in spite of the damage, or did the damage actually enhance its beauty and holiness, since the marks became part of the icon’s story and showed that God preserved it from total destruction? The slash marks and destruction of sexual assault do not obliterate your beauty, worth, or dignity. You are still made in the image of God. Even if others can’t see that image, he does. You are always God’s beloved, beautiful daughter no matter what life throws your way. Even if you don’t believe this now, you can internalize this truth. Nothing happens overnight, but little by little you might notice that you are starting to see yourself the way God does. Despite the assault, despite judgmental opinions, despite feeling alone and cut off, because even on my worst days I am still capable of giving and receiving love. I struggle with that question myself, far more frequently than I’d like to admit. This next observation isn’t a magic salve, although I hope that if I meditate on it enough, the thought will burrow in my brain and I’ll actually start believing it: despite external damage, the icon still teaches the religious message it was meant to portray, and it is still said to be a miraculous image. I would say this means it still fulfills its purpose as an icon. By extension, this means I still fulfill my purpose as a human being. Despite the assault, despite judgmental opinions, despite feeling alone and cut off, because even on my worst days I am still capable of giving and receiving love. Other people still love me (well, not the Miss Judgy Pants of the world, but that’s their problem, not mine) and I still love them. God still loves me, and I still love him. As long as there is an iota of love, I still fulfill my purpose as a person. Editor’s note: This has been published anonymously at the writer’s request.